Victor VEYRET today won the 2018 Carrick Neill Scottish Open Amateur Championship at Gleneagles. Four under par rounds of 69, 65, 67 and 67 on the Kings Course gave the tall Frenchman a 268 (-12) total and an impressive 6-shot victory. Ireland’s Conor PURCELL (-6) finished second coming through the field strongly on the final day with rounds of 67 and 68. Euan WALKER (-5) wasn’t able to repeat his form of the first two days but two par 70’s helped him secure third, taking the leading Scot honours in the process. Joe LONG (ENG), Thomas PLUMB (ENG) and Stuart EASTON (SCO) all finished tied 4th on 278 (-2). Just seven players finished under par in the Championship. The final one being Jake HAPGOOD (WAL) who finished in seventh on -1. The highlight of Round 3 in the morning was Robin DAWSON‘s (IRE) 63 (-7). His low round of the week included just 29 shots on the back nine. Starting the final round in tied second place, four shots back of Veyret, it was something of a surprise when he could only managed a 75 (+5) this afternoon. A 75 which could have been a lot worse too – four birdies in his final five holes which he played in 3-under after a bogey on 16 helped tidy up the card a little. Frenchman Victor VEYRET shot a 65 (-5) in Round 2 to take the lead on 134 (-6). His round included 5 birdies and an eagle, on the short par 4 14th. Scotland’s Euan WALKER backed up his Day 1 67 with a 68 today to finish alone in second place on 135 (-5). Four under after 15 in Round 2 he will have been disappointed to bogey both 16 and 18, holes where many in the field have been picking up shots. Laird SHEPHERD (ENG), Ben JONES (ENG), Stuart EASTON (SCO), Nurtai SALDAROV (SCO), Jake HAPGOOD (WAL) and Joe LONG (ENG) all remain in contention on 138 (-2). 17 players are on 140 (Ev) or better after 36 holes so there is still plenty to play for tomorrow. 43 players made the 36 hole cut which fell at 143 (+3). Round 1 joint leader Sam ROOK (ENG) missed out on +4 after he followed his 67 with a 77. Whilst Wales’ Hapgood is in the mix his Eisenhower Trophy teammates Ben CHAMBERLAIN (+7) and Tom WILLIAMS (+11) both missed out. Koen KOUWENAAR (NED), Euan WALKER (SCO) and Sam ROOK (ENG) all shot 67 (-3) to share the Round 1 lead at the Scottish Open Amateur. All three players finished strongly over Gleneagles’ Kings Course to secure their 67’s. Koen birdied four of his last five holes, whilst Euan and Sam birdied three and four of their last 6 respectively albeit both threw in a bogey on 15. 23 other players recorded under par rounds, 5 on -2 and 18 on -1 so the overall leaderboard remains very tight. The 52nd Scottish Men’s Open Stroke Play Championship, sponsored by Carrick Neill, starts on Monday at the Gleneagles Resort, Auchterarder in Perth and Kinross. This open amateur competition consists of 72 holes of stroke play. 18 holes will be played on both Monday 27th and Tuesday 28th August. A 36 hole cut will then take place with only the leading 40 competitors and ties qualifying for the final two rounds which will be played on Wednesday 29th August. In the event of a tie for the Championship there will be a sudden death play off. All other ties will be resolved via card count back. 144 competitors, all off scratch or better, will start the 2018 Championship. The Championship has historically been played in late May or early June. The move to late August in 2018 has inevitably been detrimental to the field quality. There are a variety of reasons for this. Overseas touring parties have moved on, teams have largely been selected, players are returning to college in the United States, others are finalising moves into the Pro ranks and in some cases funds have simply run out. Just two members of the nine man Great Britain & Ireland (GB&I) St. Andrews Trophy team are competing at Gleneagles; these are Ireland’s Robin DAWSON and Conor PURCELL. England’s David HAGUE was a late withdrawal from the event. In form Euan MCINTOSH and James WILSON, winner of last week’s Welsh Open Amateur, will lead the home challenge. Only Euan WALKER from Scotland’s three man Eisenhower Trophy team, which starts in Ireland on 5th September, is competing. Ryan LUMSDEN and Sandy SCOTT are notable absentees but presumably both have had to return to College in the States before coming home again next week. Other leading Scottish players in the field include Matthew CLARK, Greg DALZIEL, Stuart EASTON, Calum FYFE, Darren HOWIE, Jim JOHNSTON and Jeff WRIGHT. Ben CHAMBERLAIN, Jake HAPGOOD and Tom WILLIAMS, the three members of Wales’ Eisenhower Trophy team, will all be in action. Their is a strong English contingent at Gleneagles which includes Jake BOLTON, Callum FARR, Jack GAUNT, Bailey GILL, Ben JONES, Matty LAMB, Joe LONG, Joshua MCMAHON, Billy MCKENZIE, Thomas PLUMB and Laird SHEPHERD. The three members of England’s Eisenhower Trophy team Matthew JORDAN, Gian-Marco PETROZZI and Mitch WAITE are all skipping this year’s Scottish Open Amateur. There are a small number of overseas entires, the best appearing to be Frenchman Victor VEYRET. The Winner receives the distinctive Championship Trophy and a silver gilt medal. Silver and bronze medals are also awarded to the runner-up and third place finisher(s). Located 20 miles south of Perth Gleneagles is a world class golf resort with three Championship golf courses. James Braid was the primary architect of the first and arguably still the best course, The Kings. Located on moorland it offers outstanding views with vast countryside and mountains providing a spectacular backdrop. A number of prestigious amateur and professional events have been staged on the course since it opened in 1919. However, this is the first time the Scottish Open Amateur has been staged at Gleneagles. Recent restoration work, widening fairways so bunkers moved out of the rough, has returned this famous old course back to its best too. The Kings course will play 6,752 yards this week to a par of 70. The front nine will measure 3,321 yards and the back nine 3,431 yards. The 10th, which normally plays as a par 5 is being played as a 440 yard par 4. With the greens running at around 11 feet on the stimpmeter and the par set at a demanding 70 I do not expect a low scoring Championship. Mon 27th Aug – Light cloud / Wind 15 mph W / Temp. Max. 18°C, Min. 9°C. Tues 28th Aug – Light cloud / Wind 13 mph SW / Temp. Max. 18°C / Min. 11°C. Wed 29th Aug – Light cloud / Wind 10 mph SW / Temp. Max. 17°C / Min. 7°C. Rounds 1 and 2 will see players tee off the 1st from 7.00am right through until 3.20pm. Liam JOHNSTON (SCO) shot rounds of 69, 66, 69 and 71 to win the 2017 Carrick Neill Scottish Men’s Open Championship with a 275 (-9) total at Western Gailes. Liam was the first home winner since Wallace Booth in 2008. Matthew JORDAN (ENG) finished second, two shots further back, continuing a superb run off form. 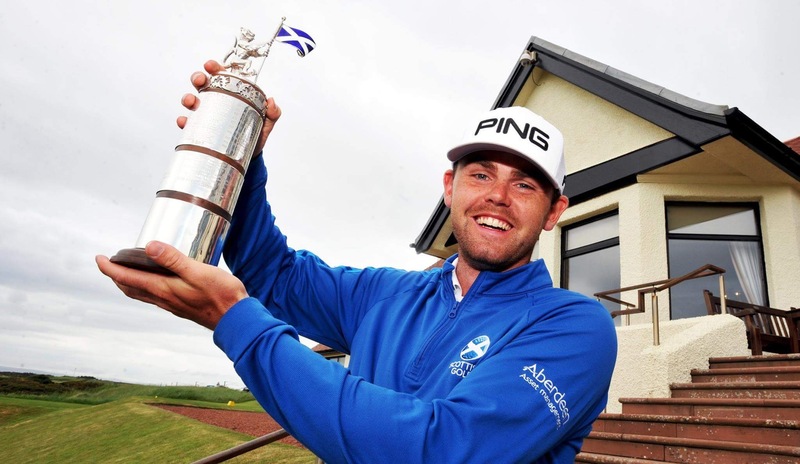 Matthew recorded successive Top 5’s in the Irish Open Amateur, Brabazon Trophy and Scottish Open Amateur before winning the St. Andrews Links Trophy last summer. Craig HOWIE (SCO) and David MICHELUZZI (AUS) shared third place on -5 as both stumbled a little in the final round as the wind picked up. Connor SYME (SCO) finished 5th on -4, whilst Clément CHARMASSON (FRA) and Matty LAMB (ENG) shot final round 67’s to move through the field and finish tied 6th on -3. Liam JOHNSTON (SCO) shot rounds of 69 and 71 on the final day to win the Carrick Neill Scottish Men’s Open Championship. His -9 total at the tough Western Gailes course was good enough for a two shot victory. Liam was the first home winner since Wallace Booth in 2008. Following on from his African Amateur win earlier this year he must now be a certainty for the 2017 GB&I Walker Cup team. Matthew JORDAN (ENG) continued his superb run off form over the last 6 weeks by securing second place on -7. Matthew has now recorded successive Top 5’s in the Irish Open Amateur, Brabazon Trophy and Scottish Open Amateur. Connor SYME (SCO) finished 5th on -4 confirming his status as GB&I’s No. 1 amateur golfer. Clément CHARMASSON (FRA) and Matty LAMB (ENG) shot final round 67’s to move through the field and finish tied 6th on -3. Craig HOWIE (SCO) matched the best score of the week, a course record -7 64, to move nicely through the field into a share of 1st place. Liam JOHNSTON (SCO) and David MICHELUZZI (AUS) shot 66 and 68 respectively to make it a three way tie at the top of the leaderboard on -7. Walker Cup squad players Conor O’ROURKE (IRE) and Sandy SCOTT (SCO) showed good battling skills to make the cut. O’Rourke fought back from a Round 1 79 with a 65 whilst Scott followed his opening 75 with a 69. The 36 hole cut fell at +2 with 42 players making it through to Sunday, where the final 36 holes will be played. Amongst those to miss the cut were Harrison ENDYCOTT (AUS) +3, Colm CAMPBELL (IRE) +6, Kyle MCCLATCHIE (RSA) +7, Marco STEYN (RSA) +12, Jamie STEWART (SCO) +12 and Zach MURRAY (AUS) +13. Alister BALCOMBE (ENG) and Calum FYFE (SCO) shared the Round 1 lead after rounds of 64 (-7). Both players improved the course record by 1-shot. Connor SYME (SCO) and Thomas PLUMB (ENG), who both shot 66 (-5), were in close pursuit in tied second. In form duo Liam JOHNSTON (SCO) and Jack SINGH BRAR (ENG), two of our stronger Walker Cup candidates, remained nicely in touch in tied 10th place after 69’s (-2). Notable players with work to do to make the top 40 and ties 36 hole cut include Sandy SCOTT (SCO) 75 (+4), Colm CAMPBELL (IRE) 75 (+4), David HAGUE (ENG) 77 (+6), Kyle MCCLATCHIE (RSA) 77 (+6), Zach MURRAY (AUS) 78 (+7), Conor O’ROURKE (IRE) 79 (+8), Jamie STEWART (SCO) 79 (+8) and Marco STEYN (RSA) 80 (+9). The 51st Scottish Men’s Open Stroke Play Championship, sponsored by Carrick Neill, starts this Friday at Western Gailes Golf Club in Ayrshire. 18 holes will be played on both Friday 2nd and Saturday 3rd June. A 36 hole cut will then take place with only the leading 40 competitors and ties qualifying for the final two rounds which will be played on Sunday 4th June. In the event of a tie for the Championship there will be a sudden death play off. 144 competitors, all off scratch or better, will start the 2017 Championship. 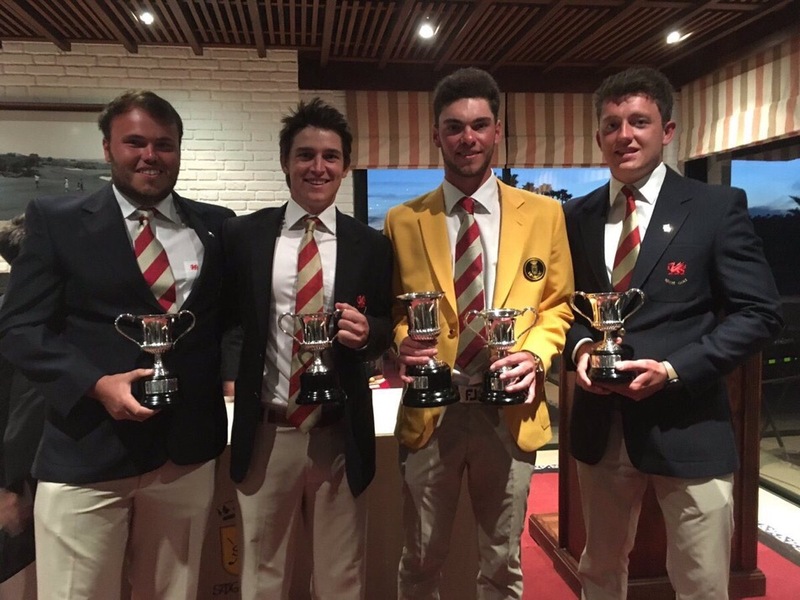 Just 5 members of the Great Britain & Ireland (GB&I) Walker Cup Squad will be competing. These are Colm CAMPBELL (IRE), Craig HOWIE (SCO), Conor O’ROURKE (IRE), Sandy SCOTT (SCO) and Connor SYME (SCO). Home players Barry HUME, Robert MACINTYRE and Craig ROSS are obvious omissions from this elite group. Of course many of the other leading Scottish players will be chasing this prestigious title, including Calum FYFE, Liam JOHNSTON, Chris MACLEAN, Euan MCINTOSH, Graeme ROBERTSON and Jamie STEWART. Other entries from the rest of GB&I that I’ll be watching closely include John-Ross GALBRAITH (IRE), David HAGUE (ENG), Matthew JORDAN (ENG), Jack SINGH BRAR (ENG) and Jonathan YATES (IRE). There is also a strong international contingent too, most notably Harrison ENDYCOTT (AUS), Garrick HIGGO (RSA), Kyle MCCLATCHIE (RSA), David MICHELUZZI (AUS), Pierre PINEAU (FRA), Travis SMYTH (AUS), Marco STEYN (RSA) and Albert VENTER (RSA). In 2016 the Scratch Players World Amateur Ranking (SPWAR) listed the Scottish Open Amateur as it’s 23rd most important amateur competition based on the strength of it’s field. Silver and bronze medals are also awarded to the runner-up and third place finisher(s). A 36-hole card count back will only be used to determine the runner up. Surprisingly given its reputation 2017 will be the first time Western Gailes has staged the Scottish Men’s Open Amateur. 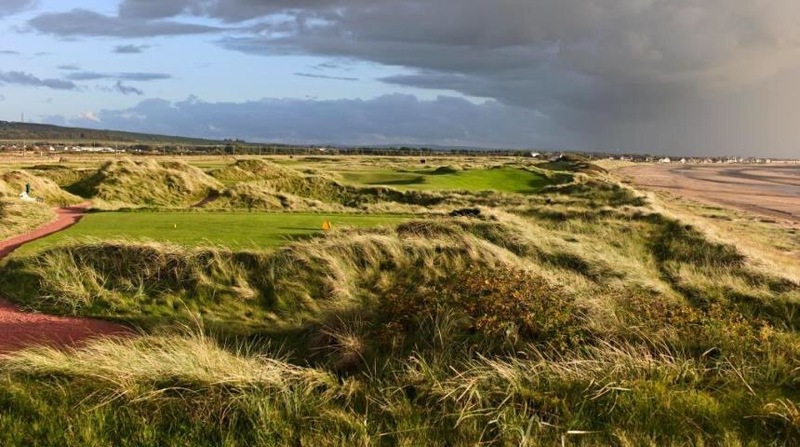 The links, like many others on the west coast of Scotland, is situated on undulating land between the railway and the sea. 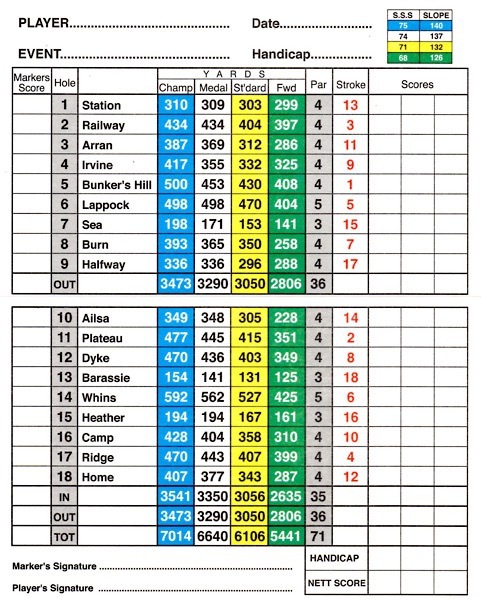 The Championship course plays to 7,014 yards and a testing par of 71 as can be seen from the scorecard below. Fri 1st June – Sunny / Wind 9 mph SW / Temp. Min. 16°C, Max. 10°C. Sat 2nd June – Cloudy / Wind 10 mph SW / Temp. Min. 16°C / Max. 11°C. Sun 3rd June – Cloudy AM, Showers PM / Wind 13 mph SW / Temp. Min. 14°C / Max. 11°C. Rounds 1 and 2 will see players tee off the 1st from 7.00am right through until 3.30pm. 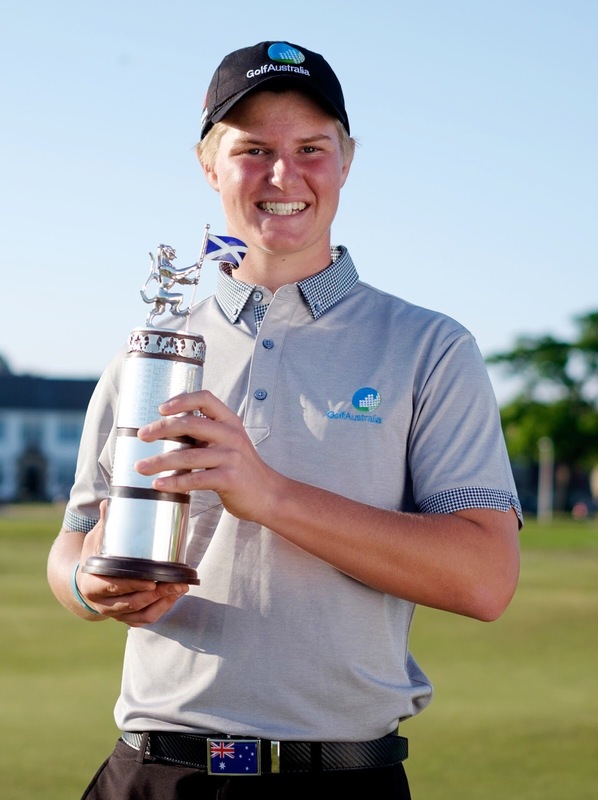 Australia’s Cameron JOHN (-15) won the title last year at Gullane GC (No. 1 course) in East Lothian. Stuart GREHAN and Grant FORREST (-11) tied for second place. Craig HOWIE (-10) and Connor SYME (-9) made up the top 5.